Laveggio Roasteria is a true artisan coffee roaster, selling only Specialty Grade coffee. We have moved to a new location at 178 State Street. The design of our new space was informed by 17 years of coffee industry experience - we implemented what worked and changed what didn't work at our last project at 101 Court Street. Every process we go through during the day was modified to be more efficient, and the customer experience - through better design - is more personal. We roast only the highest grade of coffee available -"Specialty Grade" - on a drum roaster, by-hand, in the artisan tradition - without the aid of computerized controllers, laptops and roasting software. We do not offer flavored coffees or blended drinks - both of which are the direct opposite of the Specialty Coffee mindset. We have designed our menu to showcase classic coffee recipes and methods, and we do not modify our drinks or offer size options. 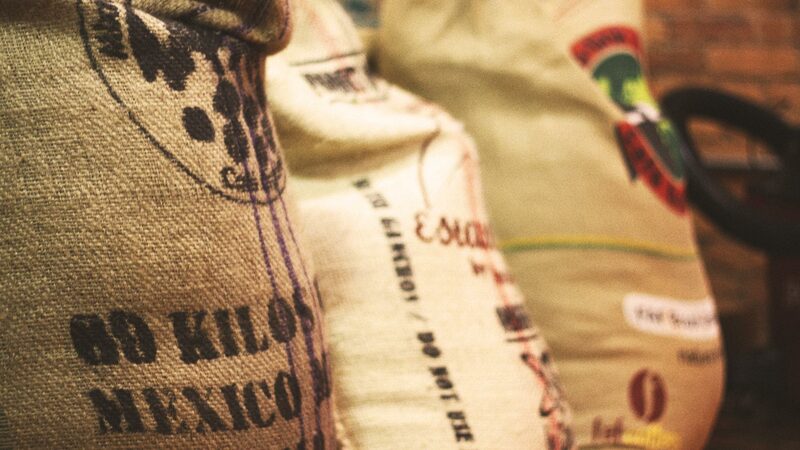 Our focus in on sourcing and roasting Ethically Traded coffees. 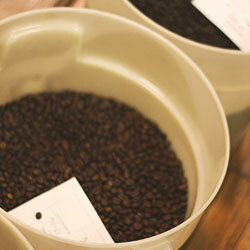 We have roasted over 12,264 loads of coffee by-hand at the Roasteria since 2007. We roast, sample roast and cup our production every day. 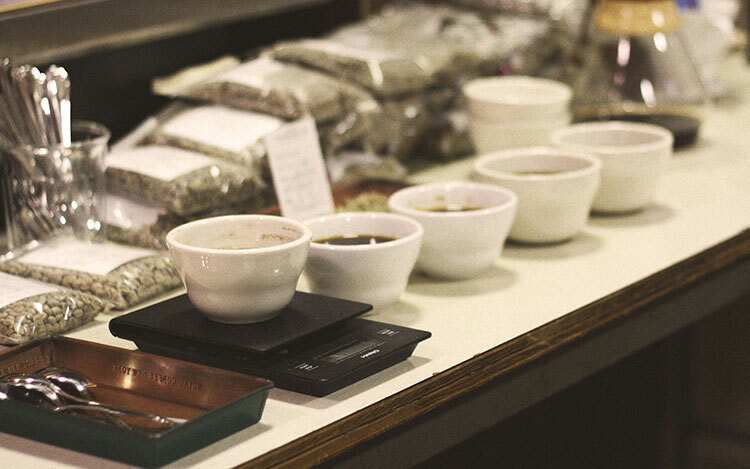 In order to provide a diverse spectrum of flavors we rotate our coffees frequently. Coffees are sourced from all growing regions and roasted to highlight their "terroir", which is their inherent flavors, aromas, and intricacies, based on where they are grown. We are dedicated to offering coffees we're excited about and driven by our intent to provide the highest quality coffees possible. As equipment dealers for 17 years offering certified Nuova Simonelli service - we are factory authorized to sell Nuova Simonelli, LaMarzocco, Cimbale and Casadio commercial espresso machines, Mazzer, Mahlkoenig and FETCO grinders and FETCO brewers. Call us first if you need equipment.We offer installation, CQM training and consulting services as well as professional design services to support your project. Browse the latest coffees via our online shop. Learn more about our wholesale offerings. 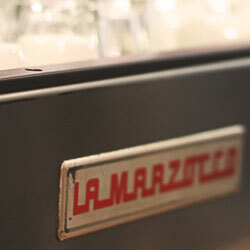 Laveggio Espresso Bar was born 17 years ago from our passion for good coffee. 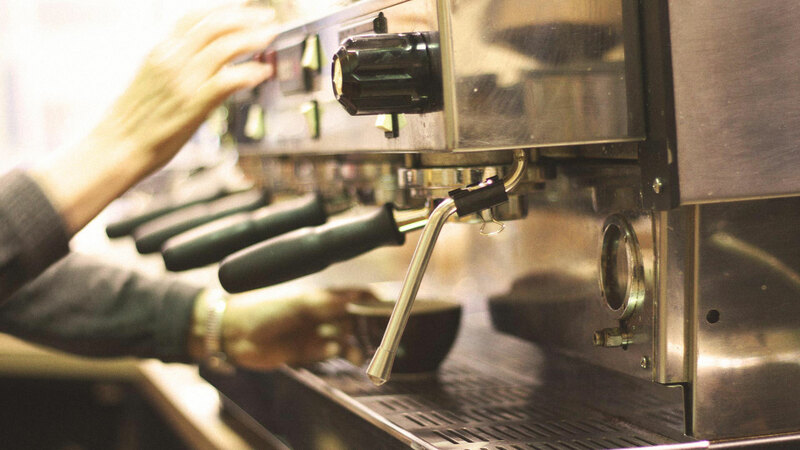 Since then, as working owners, we have been behind the bar every day, hand-crafting espresso drinks and brewing specialty Coffee to SCAA standards. We felt from the very beginning that with the exception of a few small artisan shops - buying a cup of single origin drip coffee, a cappuccino or beans to brew at home, leaves a lot to be desired. We knew we could do a much better job. Instead of the usual "fast food" coffee experience - we set out to offer a professional coffee experience. What we created 17 years ago and continue to refine is a culture where the Barista can engage the customer and make knowledgeable suggestions from the standpoint of a trained palate, not reciting tasting notes verbatim. Every aspect of your experience is important to us. With the launch of our small batch artisan roasting operation - Laveggio Roasteria - in 2007, we now control the sourcing and roasting of our coffee as well as continuing to brew to the highest SCAA standards. Timing is everything in life. A chance meeting with a Master Roaster in 2000, led to sample roasting and cupping an amazing "M.A.O Horse" Harrar on a magical Saturday afternoon. A long and interesting learning process began, cupping and spitting, sample roasting Huehue and Harrar on a Sivitz air gun (which I got from Mike Sivetz - and still use almost every day) learning the SCAA brew chart, pulling shots with J.G. on an ancient manual 3 group Faema, and many long conversations with Don Schoenholdt, Wilem Boot and Carl Staub have led us here. Here we are 12 years after opening the Roasteria. We have moved to a new space that we have designed to be more efficient and to create a more personal coffee experience. 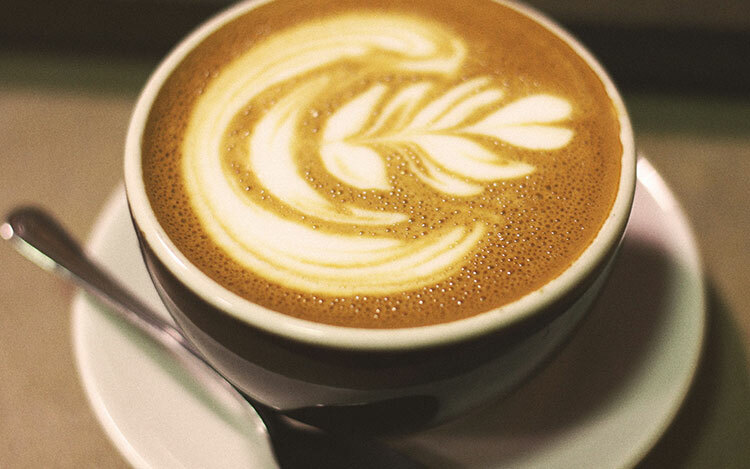 Our commitment to artisan roasted coffee, served by highly trained people who are passionate about coffee and who want to help you explore it, has become more focused on the customer coffee experience. We don't serve lunch - we are not a bar. We strive to be "an antidote for the standard retail coffee experience". 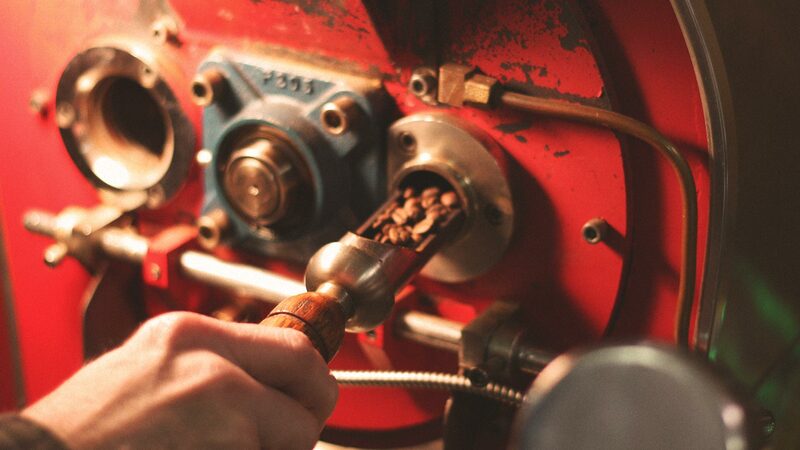 We chose to roast by-hand, without the aid of computerized roast controllers or roasting software and to preserve and showcase the craft of true artisan roasting, because we love roasting. It is not a means to an end - we celebrate the craft every day. To date we have roasted over 12,264 loads of coffee by-hand. Our quality and freshness standards are among the toughest in the business. We roast, brew and sell all of our coffees within a 7 day window. After 7 days the coffee is no longer at its peak and we pull it from stock. We donate these coffees to the Veterans Center, First Responder organizations (Police & Fire Department), local Shelters, or others in need. Our spent grounds and chaff continue to build the soil of the VINES gardens. 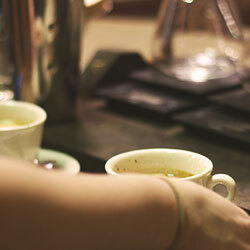 We are a small group of talented and focused coffee professionals, each with our own strengths. We work together to make your coffee experience the best it can be. Every employee at Laveggio Roasteria must pass a palate test as a condition of employment. 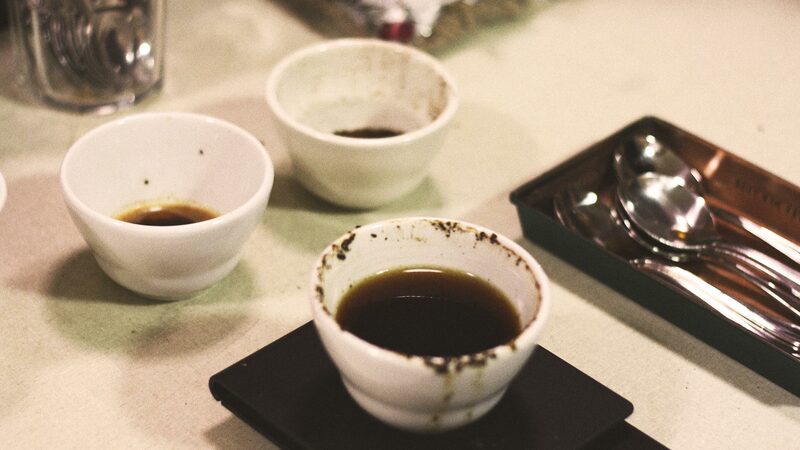 That means that every Barista can discuss the tasting notes for each coffee we offer, as well as the brewing parameters for whatever method you use. Each one of us is driven to show you the difference between our experience and expertise -vs- the standard coffee chain experience. Our menu is very simple and straightforward - double espresso shots, Cortado, European latte (5 oz), Cappuccino (6 oz) American latte (12 oz), iced latter (16 oz), cold brew (16 oz) single origin drip (and the occasional seasonal blend). We offer both light and dark roast drip daily. We have developed a handful of our own cold brew blends that we cycle regularly. Our business model has always been fundamental to our success, and it the foundation of our business - We source Specialty Coffees and roast them by hand to highlight their natural flavors. Once roasted we do not alter our drip or cold brew coffees by adding a flavored syrup - or offering Grande size drinks so please don't ask our staff to do so..
At the Roasteria we don't offer pre-bagged coffee (of an unknown age) sitting by the cash register. Every bag we sell is bagged or blended by-hand, after a discussion with one of us - from the same coffees that we are brewing,. Each bag is clearly marked with a roast date and roast level. We unconditionally guarantee each bag of coffee we sell to be; freshly roasted within our 7 day window, and taste as advertised. We will replace it, no questions asked if it is not. By highlighting the terroir of the coffee with a lighter roasting style - we strive to allow our coffee to convey a sense where they were grown when you drink them. For the most part, roasting a coffee to a dark roast level removes any sense of its terroir. Questions about our online coffee options, cafe, or wholesale offerings? Feel free to reach out! Laveggio Roasteria is committed to customer service. If you need help placing an order online, have a question for a barista at our cafe, or would like to inquire about any of our services, including a wholesale account, please feel free to reach out and we will be in touch with you shortly. You can also call us at 607-779-1100 or email us direct at sales@laveggiocoffee.com.